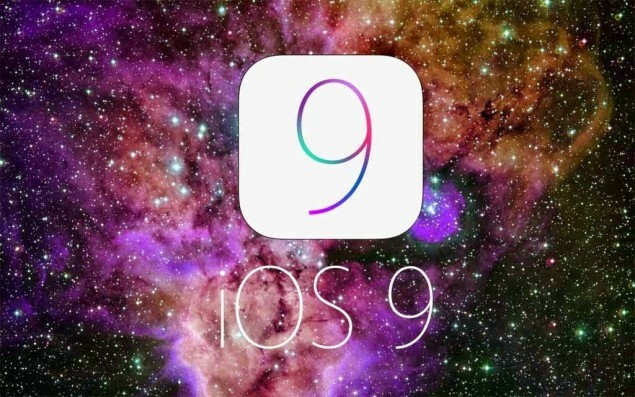 iOS 8 was unveiled at Apple’s Worldwide Developers Conference on June 2. A beta version of the software was made available to developers that same day, with a public launch slated for the fall of 2014. 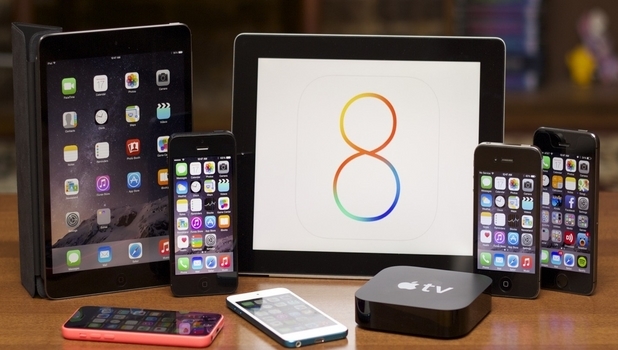 AirDrop, Apple’s peer-to-peer file sharing protocol, now works between iOS and Mac devices. Handoff, a newly introduced feature, works on the same sharing principles and lets users start a task on one device and instantly pick it up on another. 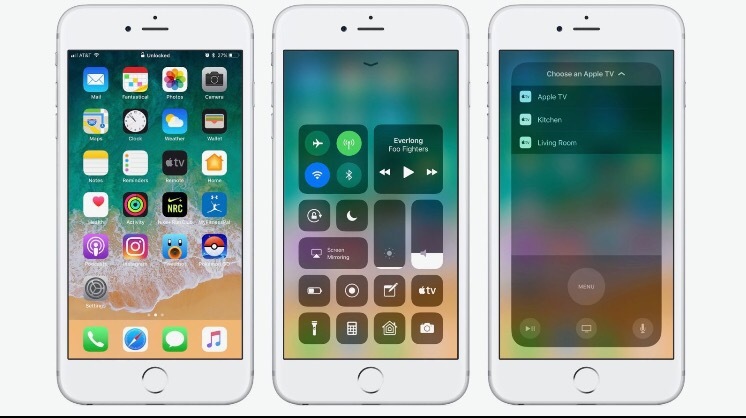 Along with sharing tasks with Handoff, iPads and Macs can both place and answer phone calls using the iPhone as a relay. Using this same functionality, Macs and iPads are able to receive SMS messages via the Messages app, which was previous limited to iMessages on those platforms. 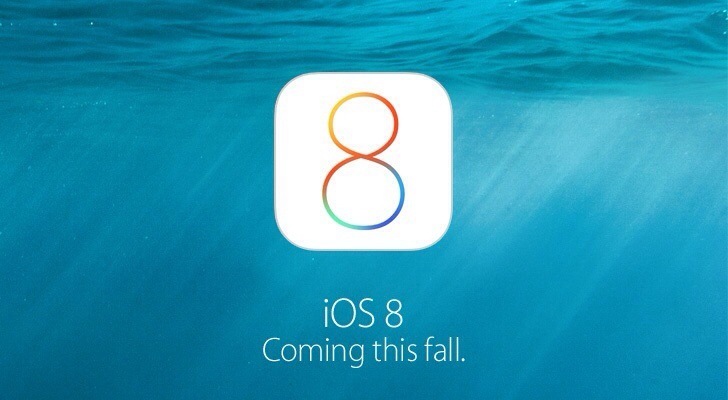 Several features within iOS 8 have received major upgrades, including Notification Center. There are new interactive notifications, allowing users to quickly reply to texts, emails, and more, right within the notification banner. Apps can install widgets in the Notification Center in iOS 8, expanding its capabilities. The Messages app has new options that let users manage (and leave) group conversations, and the app supports quick voice messages and videos. Typing within Messages and other apps is also much easier, thanks to a new QuickType predictive keyboard. Third-party keyboards can also be installed. Apple has debuted a new iCloud service called iCloud Drive, which works similarly to Dropbox. iCloud Photo Library, a part of iCloud Drive, has been built into a redesigned Photos app to make all of a user’s photos accessible on every device. Photos has also gained new editing tools, while the Camera app has a new time-lapse mode and a built-in timer.